Grosvenor Fabrication’s success over the years has been the ability to supply a large variation of models and finishes to meet client’s needs. As a market leader in trade furniture suppliers, their customers enjoy the benefits of quality finished goods. 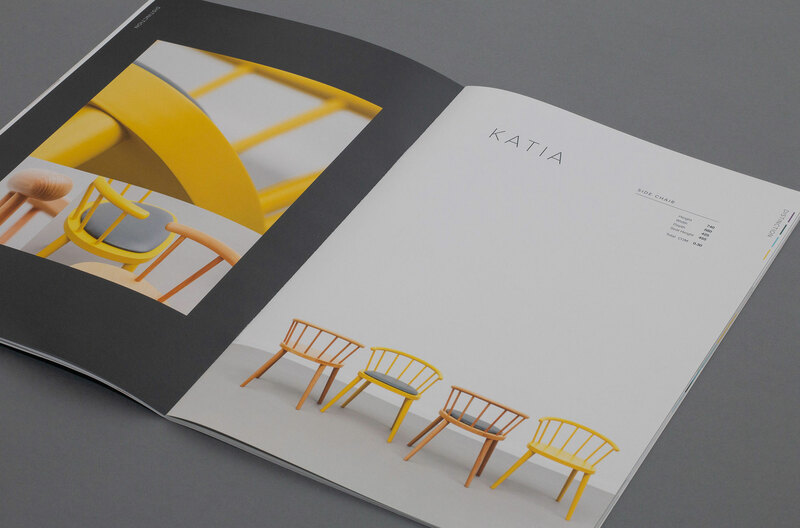 GAS Studio worked closely with Grosvenor Fabrication to develop and deliver two new print brochures with specific emphasis on new core furniture product ranges. 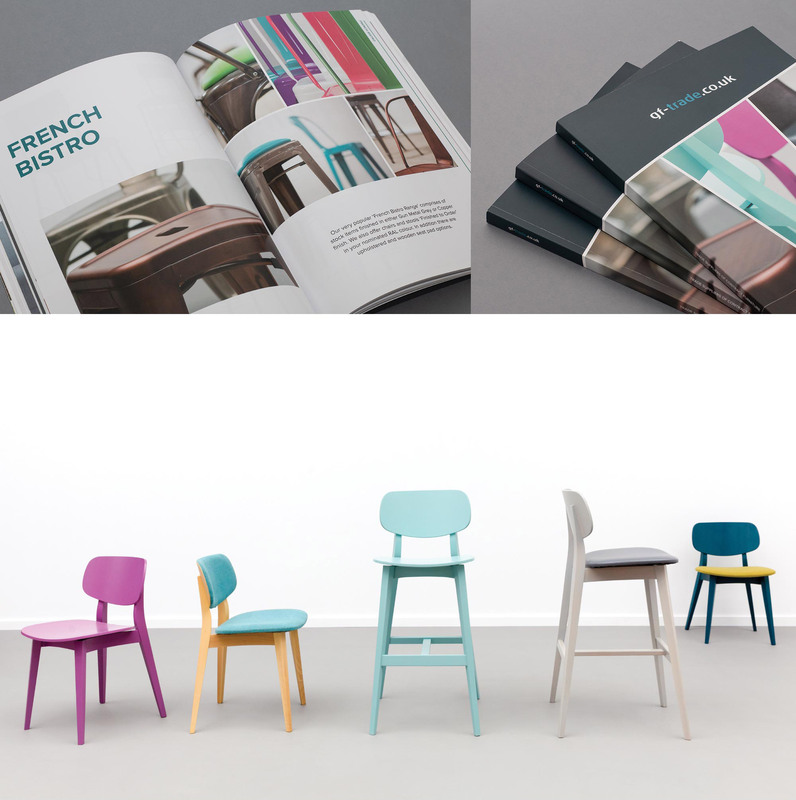 The new ranges were to be showcased with subtle differentiation from the current key chair, table base and table top products that they are currently recognised for. A large part of the project was to prepare for the new range of bold customisable products that Grosvenor wanted to launch. GAS was provided with a range of ten wooden chairs in raw form. 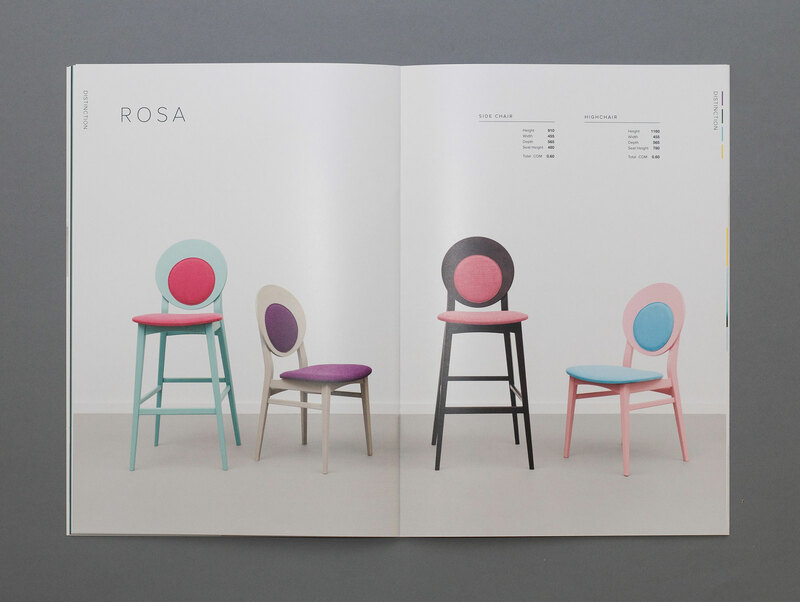 Our challenge was to express to the consumer how these chairs could be styled with colour and fabrics, to create a contemporary and exciting product. The proposed colour palette had to be complementary across the full range. Our early stage involvement began with research leading to mood boards that drew on future trends in colour. 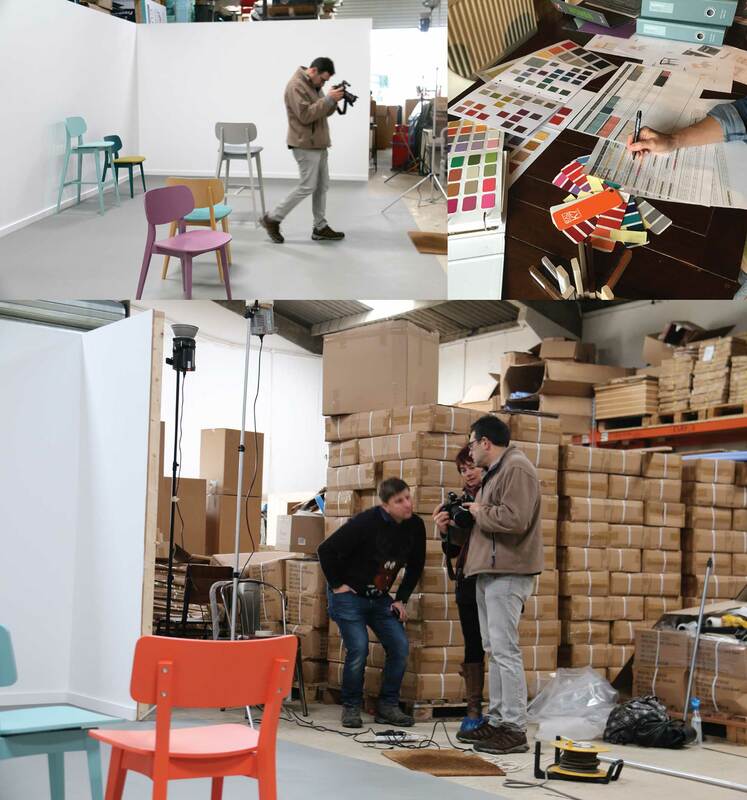 We then proceeded to produce a colour matrix of all the chair variations, enabling the factory to produce the chairs ready for the photography shoot. Creating the colour and styling for the products was half the challenge. We then worked closely with the photographer and client to construct a set, achieving a natural environment for the new chairs to be photographed. 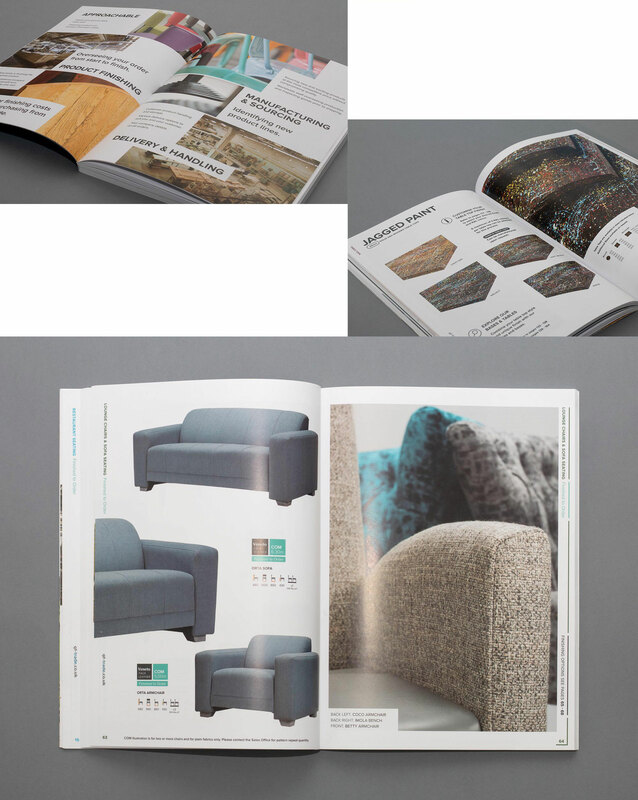 We continued our involvement and attention to detail, with art direction of key ranges and products. 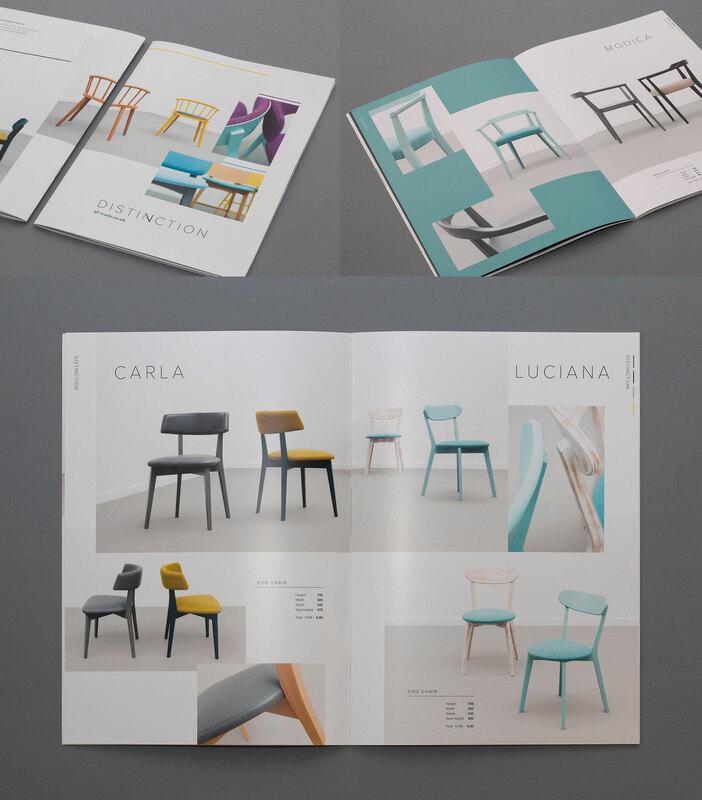 GAS then brought all the components together and designed both the full brochure and sub brochure, to clearly communicate the diverse products from sofas, to table tops and bases alongside core restaurant seating. Each range was considered individually to promote their unique selling features. "A large factor with GAS was their ability to communicate with Grosvenor and understand our requirements from day one. This has resulted in our largest brochure to date, giving us a superb platform to take to our UK and European market place."